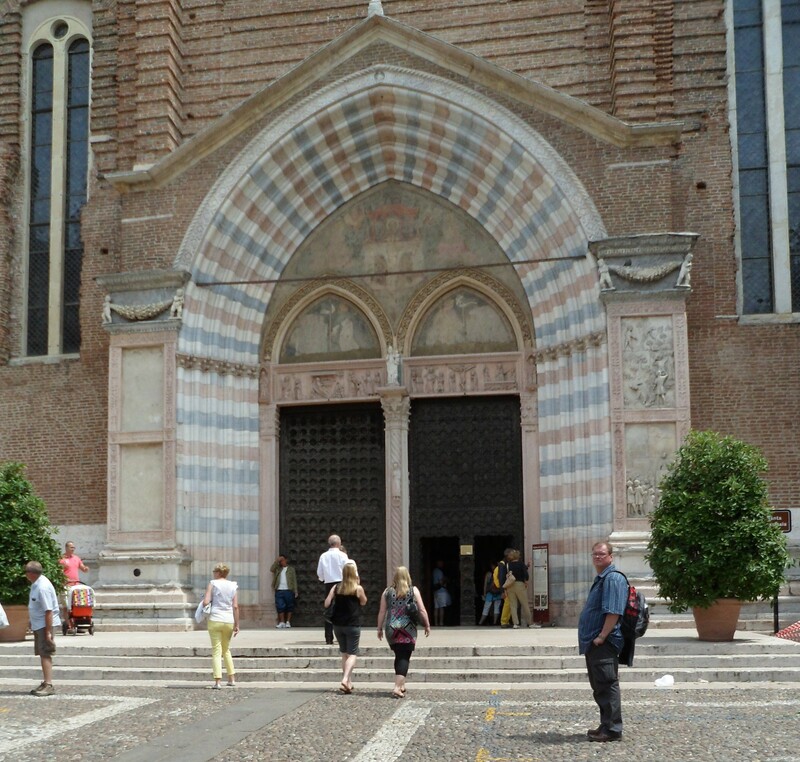 I understand that its traditional in the German-speaking countries to nail these manifesti to a church door, but since this is the 21st century, and there do not seem to be any historical fencers in Innsbruck, a blog post with a photo of San Anastasia in Verona will have to do. There are those who say that because most people forget their false predictions and remember their true, it is healthy to make a note when one notices that one was wrong about something. There is a movement variously known as historical European martial arts, Western Martial Arts, or historical fencing. Its central activity is recreating dead martial arts from the manuals which they left behind, although many practitioners also try to recreate ‘prehistoric’ martial arts which died without leaving manuals, or revive obscure but still living European martial arts such as Irish stick-fighting. And my understanding of what it is about, and what sort of people it attracts, has drastically changed over the past few years. 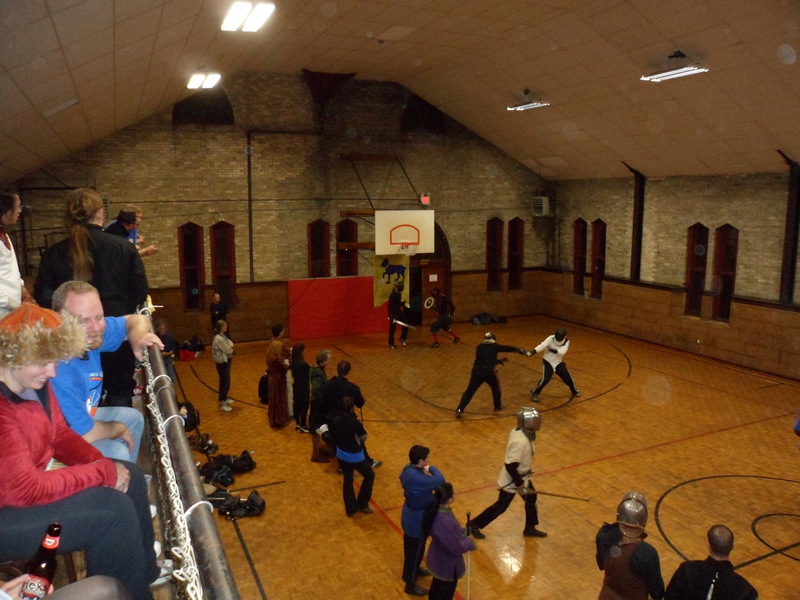 When I got involved in historical fencing, I thought that it was a community of amateur scholars with a broad interest in history like the serious re-enactment groups I knew. The end of the community which I became involved with was led by former members of the Society for Creative Anachronism who had drifted away from the organization as their interests drew them in a more historical, less creatively anachronistic direction. While my academic déformation professionnelle means that I often have small differences with people whose focus is on recreating past skills and experiences, I can usually find enough common ground to have a conversation with them, and sometimes I have a source to contribute which is much more useful to them than to the academics who originally discovered it. It was obvious to me that turning 15th century manuscripts into working martial arts required a broad familiarity with academic research in medieval studies, and the historical fencers whom I knew seemed to agree. 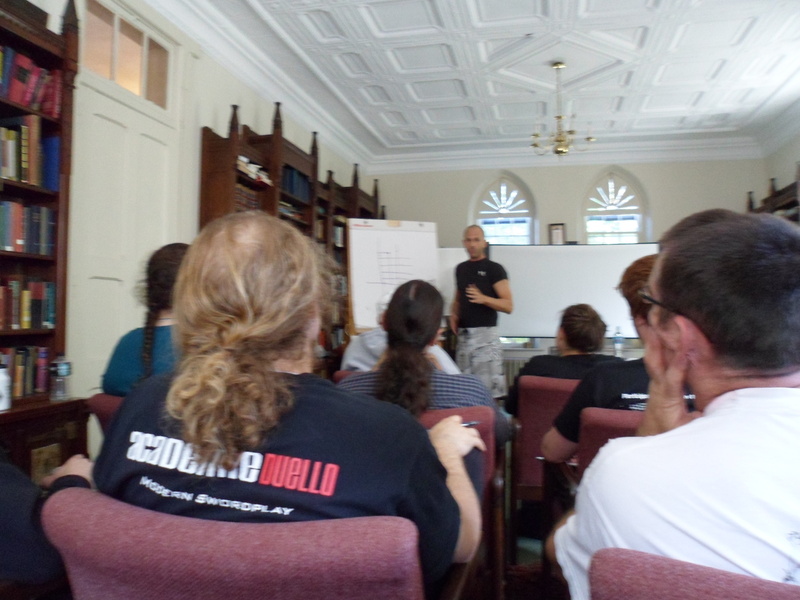 A speaker from Germany delivers a talk on Roman gladiators at WMAW 2011. At its best, the WMA movement gathers thoughtful people whose skills don’t always fit inside traditional academic boxes, and encourages them to record and spread their knowledge and talk to people with different backgrounds and perspectives. Photo by author. As the years passed and I explored the movement, however, I had a number of unsettling experiences. Several prominent members of the community began to transform themselves into gurus or life coaches. I did not have anything in my experience to prepare me for that transformation, since to me a fencing instructor was someone who taught a simple, practical skill like carpentry which made them no wiser or more foolish than anyone else. When I asked questions about people’s interpretations of the fencing manuals with the same polite insistence which I apply to any other claim about the past, I did not always get the answers which I wanted, and attending events to ask questions in person and gathering books and articles did not help. In an email exchange, I was startled to learn that an American member of the community who is very active online, and very critical of the mainstream consensus about how to read the 15th century manuscripts I worked on, had not read the best book describing that consensus several years after it was published; no doubt he was equally surprised that I expected him to address the best arguments for the consensus as part of his defence of his own views. And I discovered that the movement was embroiled in bizarre personal politics, with many instructors outside the group which taught at WMAW feeling themselves excluded and talked-down-to and founding their own counter-events and anti-organizations in response. (I first understood in my gut why they feel that way as I read The Medieval Longsword by one of the instructors ‘in’ at WMAW). In the end, however, these personal politics were drowned by larger forces. 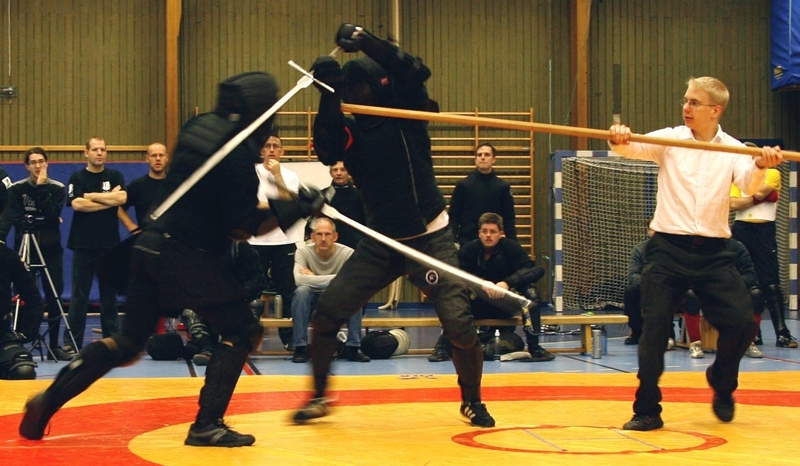 Many of the founders of the HEMA movement were lukewarm about creating tournaments for their students to demonstrate their skill, whether because their own experience in combat sports had left a bad taste in their mouth, or because they felt that historical fencers were not yet skilled enough to fence safely under the stress of competition. (An early tournament in Vancouver circa 2009 kept the volunteers busy mopping up blood, and I saw a bad fall and many wardrobe malfunctions at a tournament in Bavaria in 2014). Some of the groups which were less lukewarm found that attendance at their lessons exploded if they offered competition and framed it in the right way, positioning themselves as more athletically serious and less nerdy than other kinds of historically-themed fun with swords. This tournament-focused branch of the movement has rapidly developed its own culture and tribal markings: members can be recognized by their black nylon sportswear, painted fencing masks, and habit of reciting a long list of clauses “we are not LARPers … we are not re-enactors … we are not Battle of the Nations … we are not the SCA …” to anyone who does not run away fast enough. * This community gets very excited whenever someone finds a new fencing manual, or publishes a book on fencing schools or illegal violence with the right flavour, but is quieter when someone suggests that understanding a fifteenth-century text requires a variety of knowledge and skills taught by medievalists who are not interested in swords, or that if their favourite source has large sections on fighting in armour and on horseback, they might want to buy armour and try riding one day. The gymnasium at WMAW 2011. Some fencers wear steel helmets, others fencing masks, depending on their budget, their taste, and the weapons they customarily use. People from the “jock faction” and “nerd faction” can have fun together, as long as they show tolerance of each other’s different goals, and never demand that everyone do anything which fencers outside their faction will refuse. Photo by author, September 2011. While I have put historical fencing aside due to lack of local practice partners and the press of my studies, I hope to take it up again one day. I love the sources, and think that reconstructing martial arts from manuals has produced some research which could be written up in a formal academic way and which should be more widely known. Fencing is a good excuse to get some exercise, and historical fencing is safe enough as long as one stays away from tournaments. Historical fencing has introduced me to an assortment of curious characters more marvellous than those in any Feynmann story. But right now, when I want to talk to non-academics about history, I find a more stimulating, respectful environment amongst people who practice historical crafts using blacksmith’s hammer or tailor’s shears or song book. I thought that historical fencers were interested in history, and I was wrong. While there are scholarly and broad people in that community, they are very scarce, and it is easier to identify them by their membership in other hobbies than to look for them in the wider historical fencing community. Asking historical fencers in general why they interpret the sources the way that they do, or encouraging them to read broadly in the sources from the place and time which produced the fencing manuals they work on, does not feel like a good use of my time. This essay was written sick and revised sober, in the manner of a Persian council. Q: Wenn ich fragen därf, warum ist Schutzausrüstung aus Metall verboten? A: Weil es kein Ritter Turnier ist sondern eine moderne, sportliche Veranstaltung: altes Fechten in neuem Gewand, vergleichbar mit dem heutigen Fechtsport. Darüber hinaus, aus Sicherheitsgründen: Ringen ist ein wichtiger Bestandteil dieses Fechtens. Harnischteile, besonders Stahlhelme, sind beim Ringen sehr gefährlich, da sie Hebel bilden (Nacken) oder einen Gegner, der selbst keine Harnischteile verwendet, durch ihre Kanten gefährden. The sentiment of being wrong about HEMA resonates with me. Something about the community lost its way in the last 10 years. I sure hope that the movement either stops splintering, or reaches the point that the different factions are comfortable enough to talk politely to each other. It might be good that people don’t talk about interpretations online any more, since that leads to so much squabbling (and it is so hard to explain these things with just words). The movement that I thought I was joining was about bringing people from all over the world, and all sorts of backgrounds, together around a love for reviving old martial arts. I would be an even worse fencer if I had not been given the chance to learn from people who were trained in a way of teaching martial arts, or were more athletic than me, or had experience in combat sports, or had other skills which I do not. I think groups splinter because that is the only way for a person to get on top. Competitive by nature, everyone wants to be the top dog. So they find little nuances to make themselves seem better (at least to themselves). Maybe you guys were right to go off and do your own thing. I sure found it helpful to get to practice with good teachers and see some different takes on things, and many people were more polite in person than online … I am just not willing to insult some of my friends to help others pump themselves up, do things which are too dangerous for me with equipment that does not feel safe, or listen to self-helpy lectures from people I barely know. Heh, I had forgotten about that. He wanted to be part of my school. As it turned out, he embezzled money and did his best to lie to others in an effort to push me out. It was too easy to step aside and watch him fail. But… people constantly discuss interpretations online. They never stopped. Your whole post is confusing to me…. There might be … I stopped following when things moved to Facebook and sites like that. But I don’t see much evidence (either from talking to people in person, or online) that there are many fencers who want to become more scholarly like I tried to become more athletic. There is a difference between arguing and scholarly debate, just like there is a difference between roughhousing and the wrestling finals at the Olympics. And there is a difference between members of a faction talking amongst themselves or gossiping about the scary outsiders and their barbarous customs, and scientific discourse where if someone makes a good point, everyone else has to show that they understand it before they disagree. Two communities can talk loudly at each other without communication happening. I wish projects like the Society for Historical European Martial Arts Studies all the best, just like I hope that the people who like combat sports have fun. This seems like a generally negative article and I’m not sure that’s warranted. There does seem to be a few weird personality cults and quirks in some HEMA groups but I’m part of a small group in Australia and our instructor goes out of his way to make clear that its all just a set of simple skills which doesn’t need any pageantry or nonsense. I also cant blame a new organisation for being eager to express how they are different of from other older organisations. I can only applaud an academic approach to historical martial arts and I think viewing the fighting manuals through a broader lens of historical knowledge seems to me like common sense but you didn’t make clear to reader where you draw the line as being to not historical enough so I got the, probably false, impression that you would rather sit about reading peer reviewed papers on history rather than do any actual fighting. I think HEMA is great and more groups means that more people are doing it maybe in their own way but I think its a good thing nonetheless. WordPress marked your comment as spam and I just noticed it. Thanks for taking the time! Once I was at an event in Scotland, and in the pub afterwards I commented that travelling to tournaments and having a bash was just fine, but it was only one part of historical fencing. A friendly fellow answered something like “no, for some of us, that is all we want to do.” And that is OK, except that its hard to have a conversation after that: my academic skills don’t have much to offer him, and while I’d like to learn to be a better fencer, I’m not interested in the special kinds of training which you need to succeed at a modern sport. The same for groups who make participating in a particular style of tournament, or trash-talking kinds of fun with swords which many of my friends enjoy, a requirement of membership.